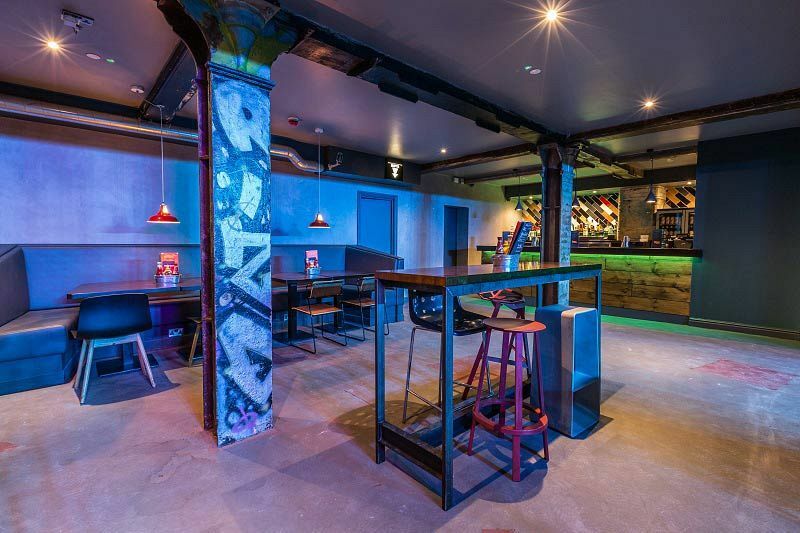 Situated in the city’s lively Northern Quarter stands this brilliant venue which is perfect for your exclusive Christmas party this festive season. This large event space offers an edgy industrial feel and is ideal for accommodating a DJ and creating your own dance floor. You’ll enjoy exclusive hire of this top venue, which boasts its very own private bar and offers a brilliant selection of drinks which will be expertly created by the talented mixologists. Choose from wine, beer and champagne or opt for a tasty and refreshing cocktail or a boozy shake if you’re after something a bit different. If you’d like to enjoy food during the evening, then that’s no problem as the venue can arrange for guests to enjoy a delicious festive buffet with options to cater for everyone’s tastes. The venue features cool booth style seating, so if you want to sit down with your friends and enjoy a cocktail in comfort, then you’ll be able to do so here. 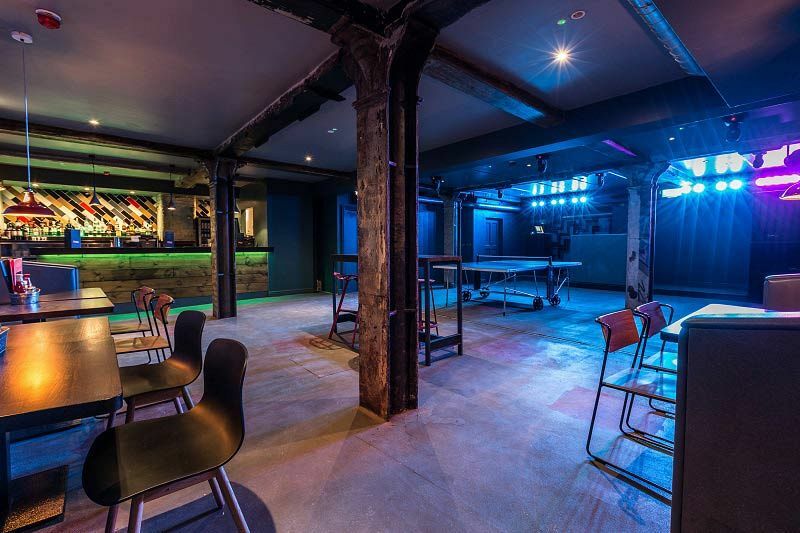 Alternatively keep active during the night and test your skills with a game of table tennis or beer pong and ensure that you’re on the winning team! 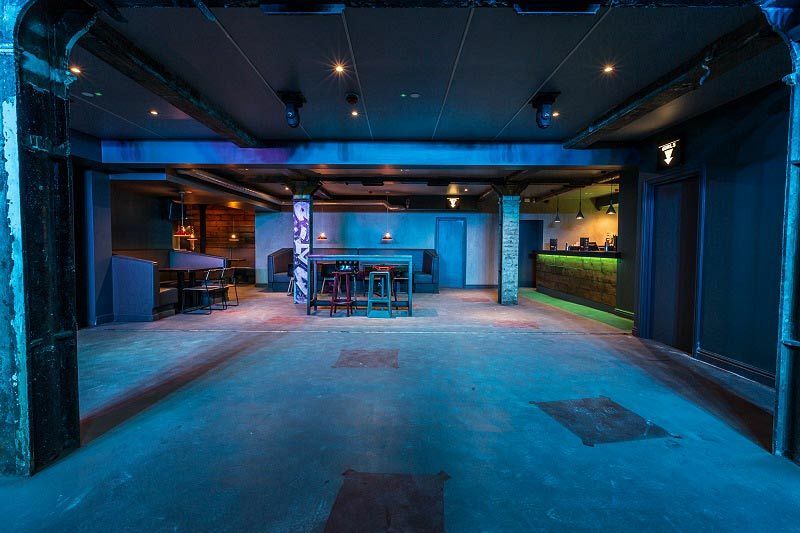 There’s also room for a DJ booth, so you’ll be able to dance your way into the early hours with a private celebration here – send an enquiry through to the venue today to get your festive event booked! This is a sample menu only, the confirmed menu will be finalised later in the year *Party Menus are subject to change, the decision will be that of the supplier or venue. A menu pre-order will be required for most parties.